A plan to ban heavy trucks from the Moscow Ring Road during daylight hours could cause massive traffic jams in the Moscow region, increase the cost of goods for city residents and turn out to be a nightmare for logistics firms. Under an agreement hammered out by City Hall and the Moscow region government at the end of last year, heavy trucks will be banned from the Moscow Ring Road between 6 a.m. and 10 p.m. every day starting March 1. Between May 1 and Oct. 1, the ban will be extended two hours, to midnight, to give dacha owners a clear run to and from their country homes. The deal is ostensibly designed to ease pressure on Moscow's congested Ring Road. But traffic experts and logistics managers have warned that the ban is poorly thought-out and premature, could put extra pressure on poorly equipped country roads and will cost Muscovites dearly. "We don't have the service centers, places where drivers can park, wait, eat and shower," said Mikhail Blinkin, head of the Higher School of Economics' Road Research Center. "We need to build them and then think about a ban. If you do it the other way around, things will end badly." It was just such concerns that caused the Moscow region government, alarmed at the prospect of long lines of trucks waiting for the appointed hour to get onto the ring road each evening, to force changes to the plan. After consultations between City Hall and regional authorities, the plan, which was to go into effect in February, was pushed back a month. Starting March 1, the agreement will target only transit freight — heavy trucks whose destination is not in Moscow — in an effort to ease the burden on the MKAD that results from the country's Moscow-centric road system. But that ban will be extended to Moscow-bound freight at the beginning of May, and logistics managers are nervously awaiting the consequences. City Hall says trucks carrying "urgent or important" cargoes, meaning mostly food and other perishable items, will be issued special passes to travel during daylight hours. But that has not assuaged the fears of logistics professionals. "It's a nightmare situation," Alexander Rogan, publisher of Russia Supply Chain magazine, said of the proposed truck ban. "This idea has been bandied about for a couple of years, and the consensus I'd heard until recently was that they wouldn't do it because it was obvious it wouldn't actually make the situation better. It'll make it worse." The ban on heavy trucks on the Moscow Ring Road will present logistics firms with the choice of either beginning to deliver at night or transferring their cargo to several smaller trucks to make the run into Moscow or around the MKAD. But trucking companies have complained that they were not consulted by the authorities and are not sure how to tackle the issue. "As far as I can see, there will be additional costs for delivery. So it will affect end prices," said Yury Vorontsov, general director of transportation company RTL Group. "First, we expect that there will be possibilities to buy passes [to deliver during the day], and that will create additional costs. We are also considering solutions such as a combination of a compound near Moscow and a small truck fleet, or changing deliveries to night shifts. 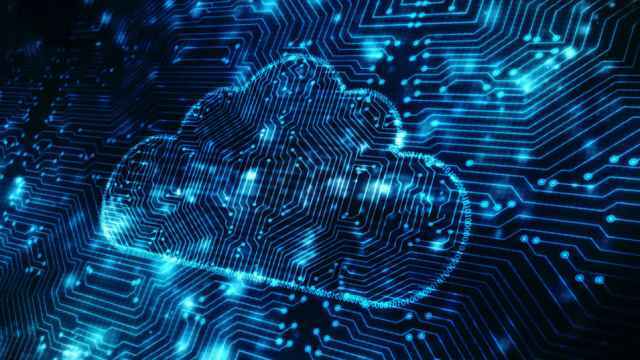 "The latter is not a clear solution because not only would the logistics provider have to work at night but the customer would also have to support it from the other side," Vorontsov said. But he added that information was so sketchy that it is still impossible to work out the relative costs of each option. Few of the warehouses around Moscow that the logistics industry relies on currently work 24-hour shifts, experts interviewed for this article said. Rogan estimated that the lost time, extra manpower and fuel and equipment overheads of transferring freight from heavy trucks to three or four smaller trucks could "easily double" that element of the supply chain costs. "It's more difficult to track and control a fleet of three or four smaller Gazelle-type vehicles, and they're not designed to deliver what the bigger trucks are," he said. "It is not a good idea." With these problems passed on to customers, there will be a direct effect for the city's consumers on prices of goods ranging from food and consumables to electronics and car parts, said Tony Stanford, a logistics consultant and former head of DHL in Russia. "The instinct of a logistics company will be to jack up their costs, maybe as much as 25 percent, because their trucks are sitting idle for four or five hours a day," Stanford said. "That will be passed straight on to the consumer. The price of a bottle of beer or milk in Moscow will go up 5 percent." Vyacheslav Kulichenko, manager of the AvtoGAZ dealership on Kashirskoye Shosse, said he had not yet seen any jump in demand for light trucks. "We hope so, but it is a matter of wait and see," he said. A spokeswoman for City Hall's transportation department said major retailers, including grocery chain Azbuka Vkusa, had backed the plans because it would make deliveries quicker and more predictable. "Actually, the limits will suit everybody," the department said in a statement. "[The policy] will be make it easier to travel around the city, optimize the transportation system and improve the environment. Furthermore, reducing traffic jams will allow retailers to deliver goods more quickly and increase vehicle turnover, and drivers will spend less time in traffic jams,"
There won't be police checkpoints turning away prohibited trucks. Rather, an electronic monitoring system similar to that used to regulate congestion zones in cities like London will automatically send violators a hefty fine by mail. Those with permission to enter the zone will be issued free special electronic passes, which will be automatically scanned by roadside equipment. No paper passes will be issued. Effectively, that means drivers will have the option of ignoring the ban and paying the fine. But City Hall hopes the financial incentive will be enough to change people's behavior. "Night deliveries are quicker, and you don't need to stand in multikilometer traffic jams," the statement said. "The efficiency of transit will increase several times. At the same time, rest stops and free parking lots close to the MKAD will allow truckers to wait for the appointed hour in comfort and calmly prepare for their journeys." Those rest stops are crucial but are also one of the most controversial parts of the plan. Critics warn that the current provision is woefully short of what will be needed. Until these parking lots are built, the plan to limit access to the Moscow Ring Road is entirely premature, Stanford said. "If you're a trucker, it means the following: You'll park up on the side of the road and wait till you're allowed onto the MKAD. Can you imagine what that means?" he said, before conjuring apocalyptic images of 10-kilometer jams stretching away from the MKAD in all directions. "It'll last a week. It'll be chaos, and they'll say 'That was a stupid law' and scrap it," he said. The Moscow city government says about half the 12,000 parking spaces for heavy vehicles it thinks will be needed to make the plan work have already been built. City Hall said there are 66 such parking lots on the M1 Belarus highway, which runs west from Moscow, 54 on the M4 Don, which runs south to the Rostov region and to the Black Sea ports, and 32 on the M3 Ukraine, which runs southwest to Kiev and also serves the automobile factories in the Kaluga region. Other roads are more poorly served, however. There are only seven stops on the M7 Volga, the main road east to Nizhny Novgorod, Kazan and Ufa, and just 10 on the M10 Rossia, the heavily congested highway to St. Petersburg. The Moscow region has promised to build the other half of the truck parking spaces that are needed. 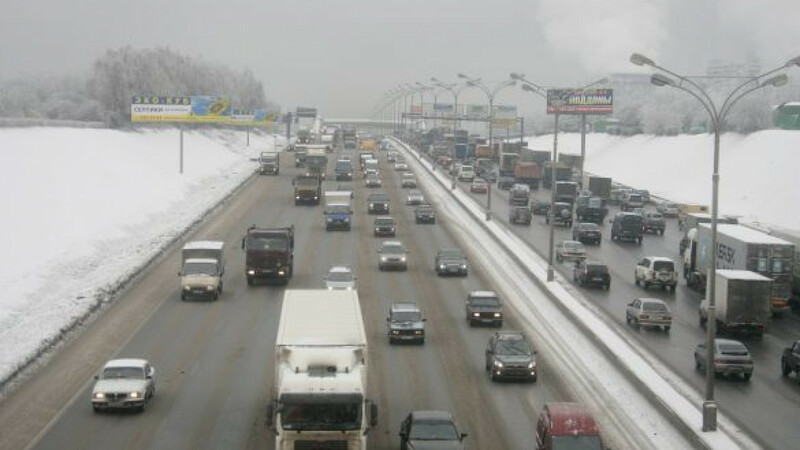 At a news conference in December announcing the new restrictions, acting Moscow region Governor Andrei Vorobyov said the plan was to build dozens of small service areas for up to 20 trucks to avoid the congestion that would be caused by a few larger truck lots. "I appeal to all our companies working in the oil-processing sector and have a network of service stations: Welcome to the Moscow region! We will adopt a special schedule so the program for building gas stations and rest stops for drivers is intensively realized," he said at the time. But he did not say where or when they would be built, and jaded industry insiders have said the need for such a network has been glaringly obvious for years. One long-serving British logistics manager said he had tried to interest BP in building such service centers around Moscow as long ago as 1999, but the British oil firm couldn't find a Russian partner interested in the idea. Rogan said the MKAD truck restriction plan will cost transportation companies a lot, as the Park operators look for a return on their investment from building the truck parking lots, which Blinkin said are necessary for the new rules to work. "You'll have to build these service parks, and trucks will have no choice but to pay to park there until they can go into the city. If you are a service park builder or operator, it's a great business plan. You will have a captive client base." The City Hall spokeswoman said building rest stops for truckers and private drivers is part of the strategy to make road travel "more civilized." 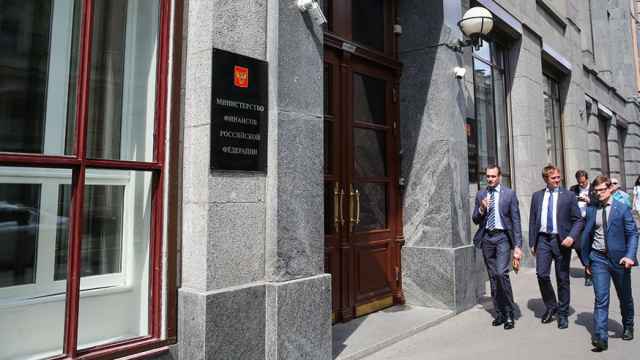 A LUKoil spokesman said the company saw "great potential" in the idea and said negotiations with the regional administration are under way. But he said it was premature to say where, when or how many rest stops the company might build. TNK-BP, which has 112 gas stations in the Moscow region, said it had not heard of the project but fully supports the idea of expanding and improving services for long-distance truckers. The company has already opened one "multifunctional gas station" with space for heavy trucks, and it plans to add two more in the region by 2015, a spokeswoman said in e-mailed comments. But regulating traffic on the Moscow Ring Road or other highways around the capital is a Sisyphean task, said Blinkin, of the Higher School of Economics. 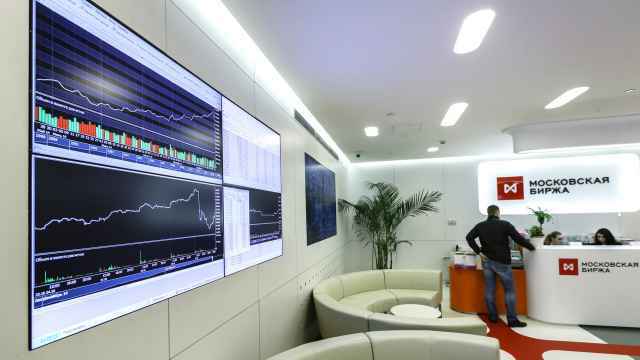 No amount of regulation or experimentation will get around the real problem, which is that almost all traffic moving across the country has to pass through the Moscow area, he said. "The real problem is that the entire road system is centered on Moscow. If you want to move something from the Baltic region [location of Russia's busiest ports] to another part of the country, you've got to go via Moscow," Blinkin said. Federal road-building investments heavily skewed toward upgrading the overloaded Moscow area only add to the problem because the relatively poor roads elsewhere make the route even more attractive, he said. In other words, short of a new national road system, the Moscow region's roads are going to be heavily overloaded for the next several years, if not decades. The question, then, is how to use them better. In the farther reaches of the Moscow region, the capital is orbited by two other ring roads: the 335-kilometer-long Small Moscow Ring Road (A107), which is roughly 30 kilometers beyond the MKAD, and the 550-kilometer Big Moscow Ring Road (A108), which is about another 30 kilometers farther out. For inward-looking city dwellers, who think of the MKAD as the outer limit of the known universe, those two roads are as distant as Pluto and Neptune. But they are well-known to truckers and dacha owners, and the authorities would like to see both routes take more of the transit traffic clogging the MKAD. Vorobyov agreed to fund construction of 17 bridges over railway crossings in the Moscow region to bypass the bottlenecks they cause. 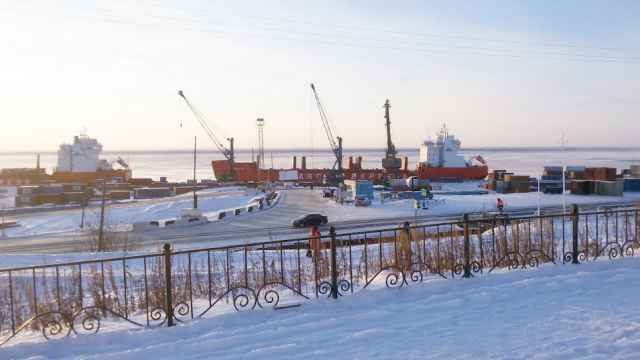 Acknowledging that he lacks the money to address the approximately 100 crossings around the region, the acting governor also hired Regional Toll Road, a subsidiary of Norilsk Nickel, to build several toll overpasses in the region, starting with Vostraikovsky, in the Domodedovo district. Construction is due to be completed by fall 2014. Regional Toll Road said it plans to invest 10 billion rubles ($330 million) to build up to 20 toll bridges at Moscow region railroad crossings by 2020. In the longer term, parts of the A108 and A107 are to be united into an eight-lane superhighway called the Central Ring Road. But the project has been pushed back repeatedly. The start of work on the new road is now scheduled for 2014, and it is not expected to open before 2020. For now, the small and big betonka, as the A107 and A108 are colloquially known, remain for most of their length little more than ordinary two-lane country roads, with all the risks they entail. The vulnerability of such narrow roads to disruption was highlighted recently when heavy snow in early February left some 300 trucks struggling to make it up a hill on the A107 in a traffic jam that lasted until 3 a.m. There is no silver bullet for the burden on the country's roads. But Rogan said some simple regulatory changes could provide quicker, cheaper and more meaningful results than the proposed truck ban on the MKAD. Abolishing the law that requires vehicles caught in a traffic accident to remain stationary until police arrive at the scene would go a long way toward facilitating traffic flow, Rogan said. Likewise, the traffic mess on the A107 in February could have been prevented by a requirment that truck owners equip their vehicles with appropriate winter tires or chains, he said. "You can't blame the Moscow government every time there's bad weather," Rogan said. "But if it's true that traffic jam was caused by trucks without winter tires, [the authorities] should have thrown the book at them — if there was a book to be thrown." There is no such book, however. Russian law does not require the use of winter tires.